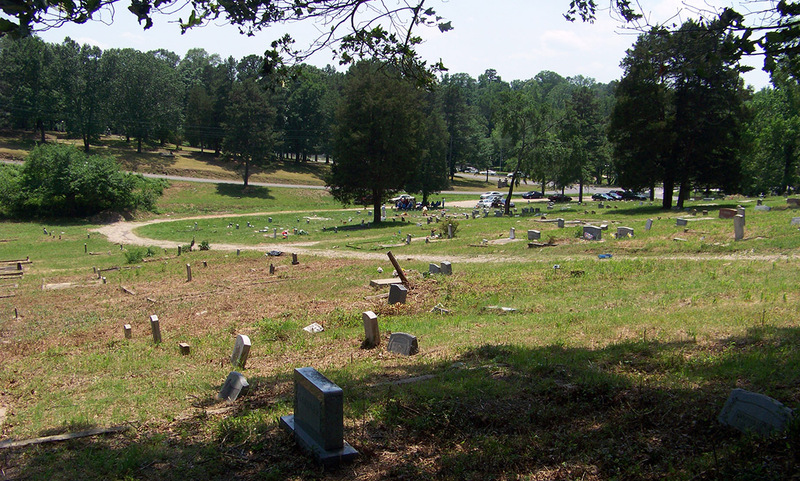 View of the Friendship Cemetery in 2011, after brush clearing by volunteers with the Hot Springs Historic Friendship Cemetery Preservation Association. For several years in the early 2000s, the Arkansas legislature designated funds to the Arkansas Humanities Council (AHC) for a grant program devoted to researching and preserving African-American cemeteries in the state. Individuals and organizations receiving these grants were encouraged to provide information on the cemeteries for the Arkansas Archeological Survey’s archeological site database. Survey research station archeologists assisted those applying for grants by serving as humanities scholars. While this special grant program no longer exists, the AHC continues to provide support for organizations interested in cemetery preservation. 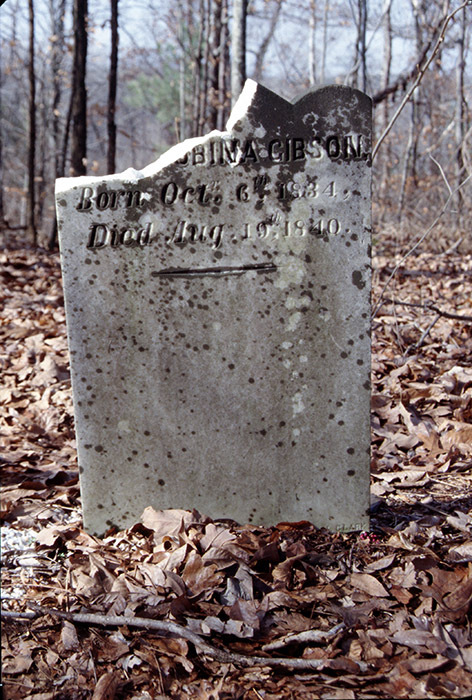 The metal bracket from a funeral home marker is the only sign of the grave remaining in this Garland County cemetery. 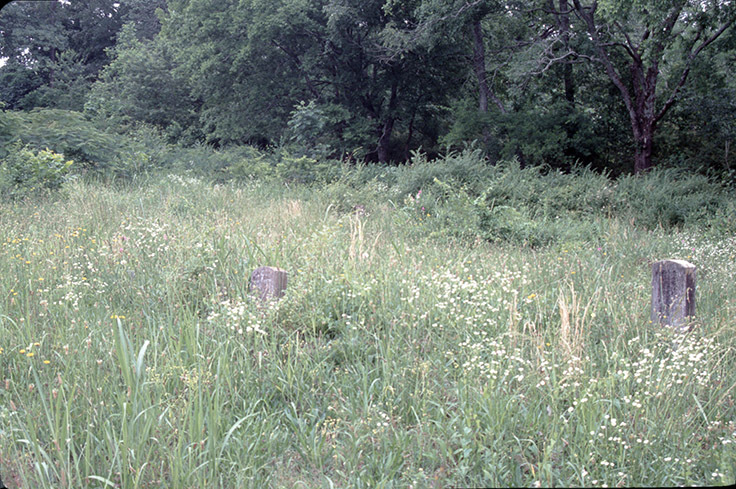 Overgrown graves at Friendship Cemetery, before cleanup. 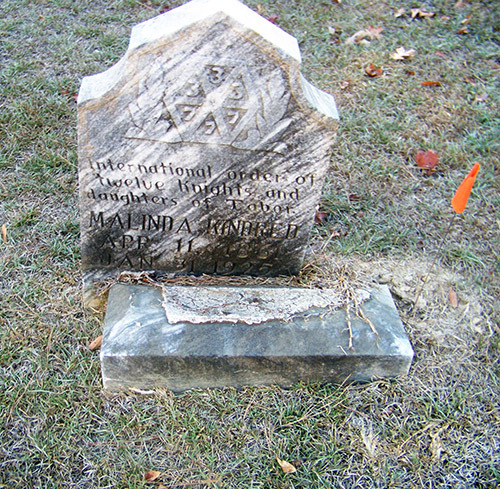 Broken and fallen gravestones can be noted during a conditions survey. 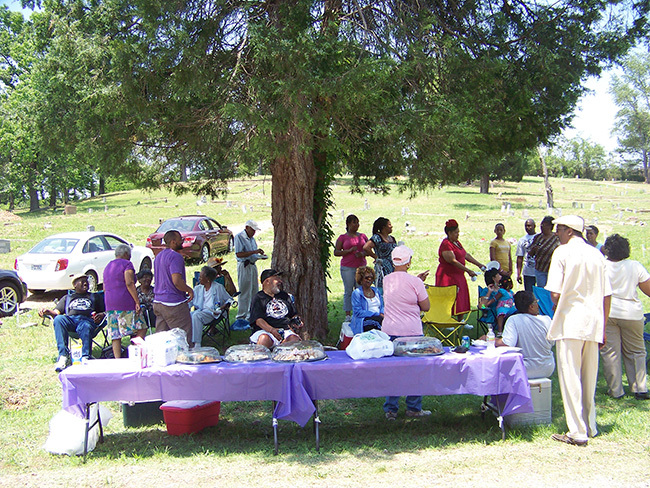 Members and friends of the Hot Springs Historic Friendship Cemetery Preservation Association gathered for Memorial Day 2011 to discuss preservation efforts and to collect information about the cemetery’s history. Cemetery associations across the state have received Arkansas Humanities Council minigrants for cemetery preservation and documentation, fencing, and gravestone repair. 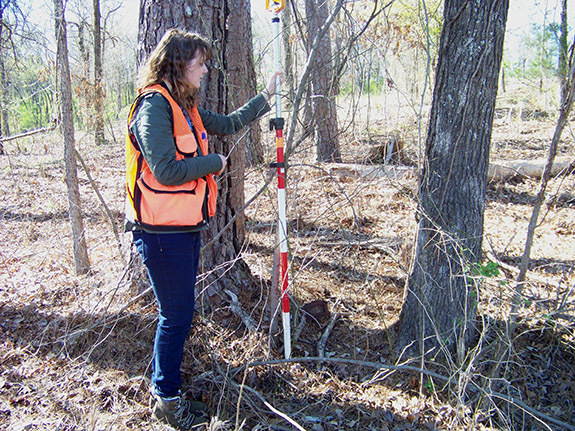 Arkansas Archeological Survey archeologists have assisted by recording cemeteries as archeological sites, and by advising cemetery groups on best practices. In some cases, we have assisted cemetery groups with mapping cemeteries. In other cases, we have provided information on how to recognize unmarked graves so that cemetery associations can create their own maps using community volunteers. The Arkansas Archeological Survey works with the Arkansas Humanities Council, the Arkansas Historic Preservation Program, and private groups like the Preservation of African American Cemeteries, Inc. to provide preservation assistance and educational resources. 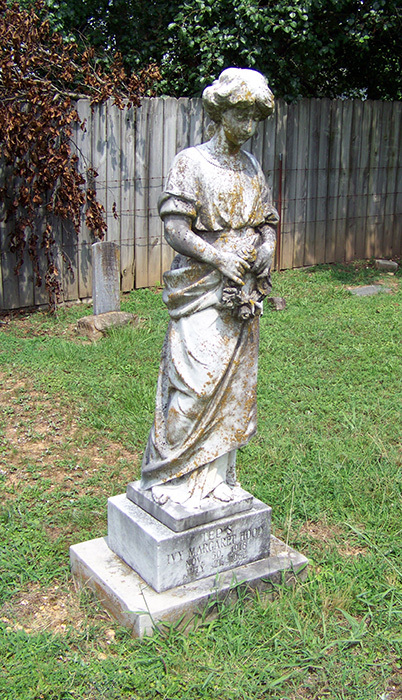 If you have questions about cemeteries in Arkansas, read our Cemetery Preservation web page and contact our Cemetery Preservation Coordinator, Ms. Kathleen Cande (479-575-3556). The gravestone of Spence Cole reads “Gone but not forgotten.” This cemetery in Hot Spring County has now been recorded as archeological site 3HS608. Many of the cemeteries visited by Arkansas Archeological Survey archeologists are in active use and are maintained by cemetery associations. 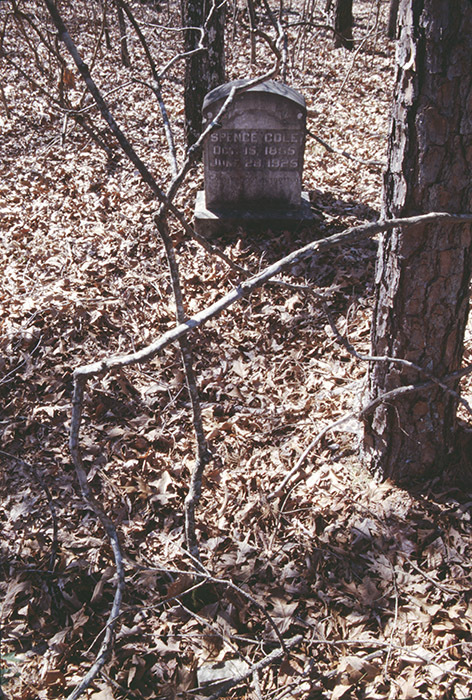 The Arkansas Archeological Survey worked with the county sheriff after vandalism to grave markers was reported at this cemetery in 2002.